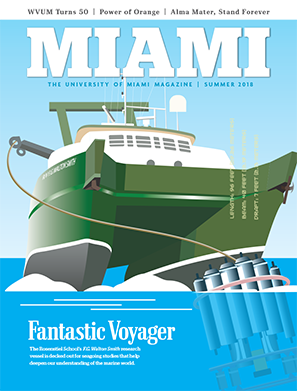 Across the University of Miami campus, 4,500 student employees work full or part time performing invaluable services with enthusiasm, dedication, and initiative. To commemorate National Student Employment Week this week, departments are taking the time to celebrate their student employees. 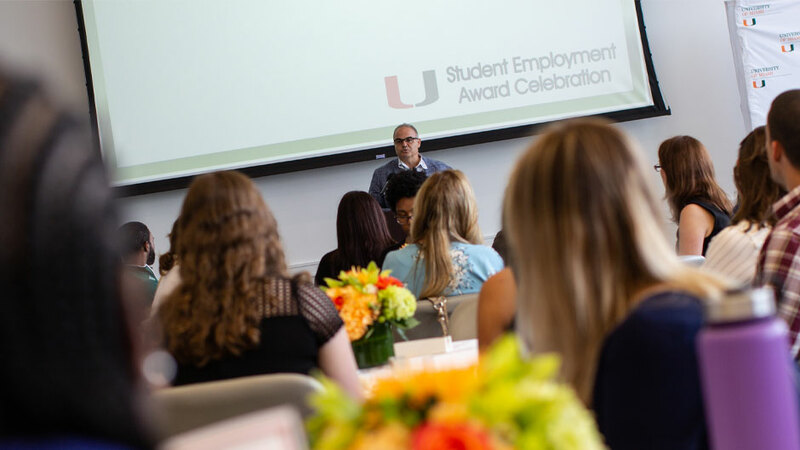 On Tuesday, April 9, the Office of Student Financial Assistance and Employment recognized nominees at its annual award ceremony in the Shalala Student Center. Artist and professor Xavier Cortada delivered the keynote speech. Jilian Sansone, a project coordinator and undergraduate researcher in the Social Cognition Lab (SCL), was the recipient of the 2019 Student of the Year Award. 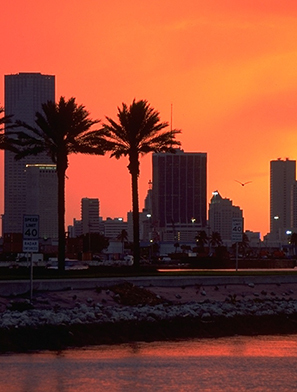 The senior double majoring in psychology and English was nominated by assistant professor Elizabeth Simpson. Simpson, with the Department of Psychology in the College of Arts and Sciences, also left the event a winner as she was awarded the 2019 Student Supervisor of the Year. 2019 Student Employee of the Year with her mentor, assistant professor Elizabeth Simpson, the 2019 Student Supervisor of the Year. Sansone has worked in the SCL since her sophomore year. 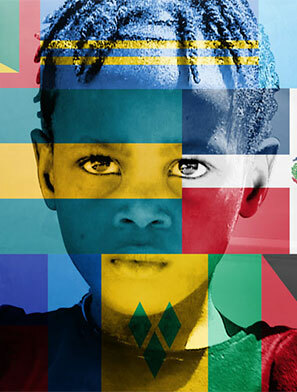 Since she arrived at UM, she knew she wanted to pursue how social experiences in early childhood shape personality and sociability of adolescents and adults. In her nomination letter, Simpson wrote that Sansone is a gifted science writer, dedicated researcher, and role model to her fellow students. Following graduation, Sansone plans to pursue a Master’s degree in counseling psychology. 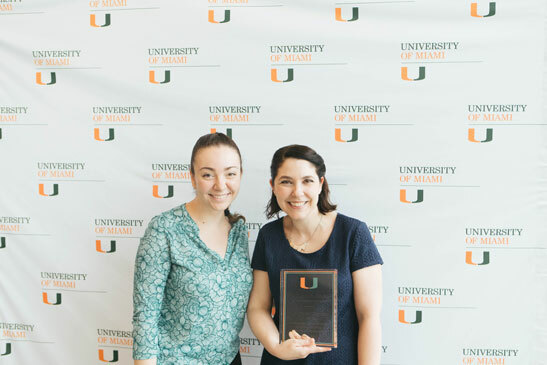 Additionally, Elizabeth Acevedo, a student employee in the Office of the Dean and Graduate and Administrative Services at the College of Arts and Sciences, was awarded the 2019 Lead Miami Senior Excellence Award, and Ashley Krawczyk, a student employee in the Office of External Affairs at the School of Law, won the 2019 Lead Miami Newcomer Award.